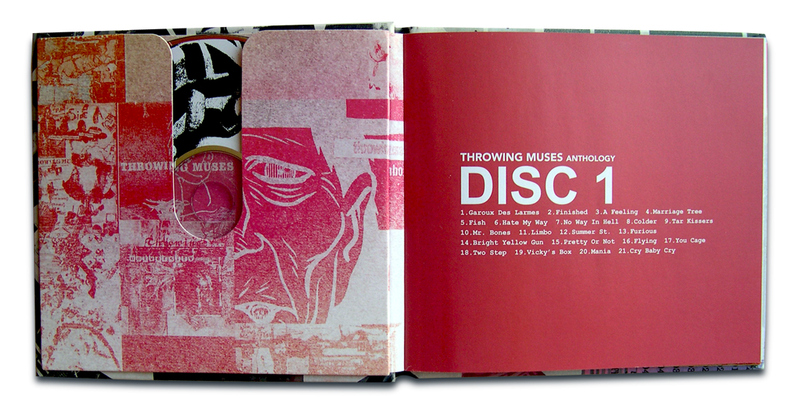 Special CD package for 4AD Records release Throwing Muses Anthology. 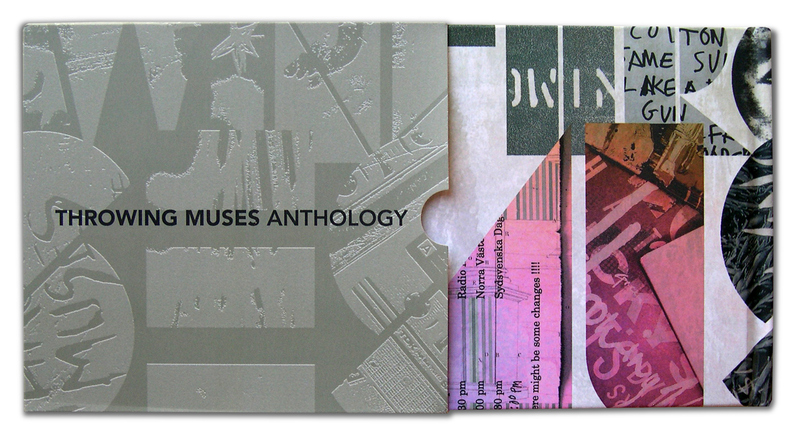 Being the drummer in Throwing Muses , my company Lakuna Design, was * lucky * enough to get the job of designing this special release. 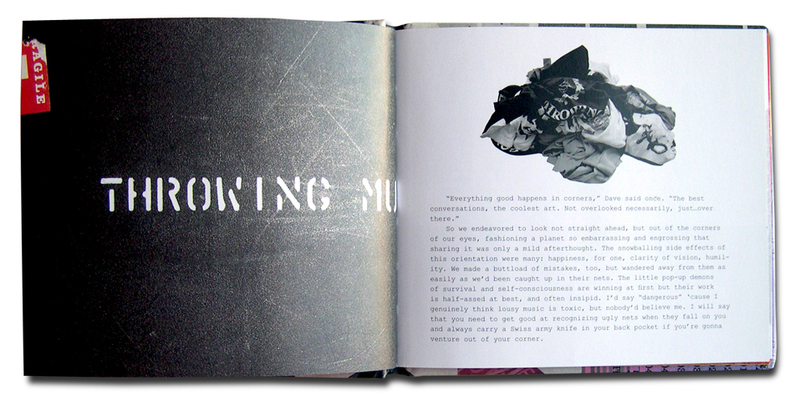 Our music has always had a kind of handmade, slightly 'off' aesthetic which I tried to evoke through the use of collage work made up of collectibles and ephemera from 25 years of touring and recording. Here's a description from 4AD Records: Compiled by the band, the first American act to sign to 4AD, the twenty-one track selection eschews most of the singles in favour of personal favourites, and enjoys a non-chronological sequence which makes for interesting juxtapositions and encourages a reassessment of the music. The initial limited release comes in a hardback book with a bonus twenty-two track CD of B-sides and rarities.